I have a loose policy that for every new purchase of clothing or books that comes in, at least the same number of clothes or books must go out, to be sold or donated. I generally purchase only books that will be used over and over again and I tend to check out those of interest at the library first, renewing them repeatedly until the library decides it is time to give another person a turn. Then– often–I won’t purchase the book, thinking someday instead, and I’ll get back in the hold queue and repeat the process until it is practically my personal copy anyway. Somewhere in between being a teenager with aspirations of growing up to live in a giant house and drive a fancy vehicle, I veered sharply in the other direction and wound up aiming for minimalism instead. Clutter and “things” make me cranky. Whenever relatives call and ask if we would like an item they are getting rid of, I default to no. If the item is used only once a year or so, it is no longer worth the space and headache. Yet, I fail daily in keeping clutter to a minimum. I leave stacks of books in every room. Despite my library-tendencies, there are three fairly large and overflowing bookshelves in our small apartment and nearly all of them ‘belong’ to me. When I take a giant stack in to sell, I purchase two more with the profit instead of taking the change. There are clothes, too, in the closet which have not been worn in years, and in the kitchen, I aspire to make simple meals, letting the flavor and the freshness of our garden produce shine through. And then I go and make every meal (every meal folks!) overly time-consuming, with something like five or more steps and at least one appliance/gadget for each one. I almost went to culinary school. Twice. Given my affinity for recipes that should require several sous-chefs and an industrial dishwasher to boot, one would think I actually did. And if you can’t tell, I tend to overcomplicate just about every little thing I turn my focus onto. I like food to be simple and complex at the same time. Complex because the textures and flavors are layered, but simple because they are practical to make and easy. Listening to Jonathan share this and many more valuable tidbits made me realize I need to take a deep breath and stop trying so damn hard–in all aspects of life. It is okay–and often essential–for there to be many steps to make a great meal. It is okay for there to be a tension between leading a simple life and a complex one. It is okay to have more than I need, but infinitely less than I desire. It is just fine to embrace clutter and at the same time, strive to minimalize the accumulation of things. 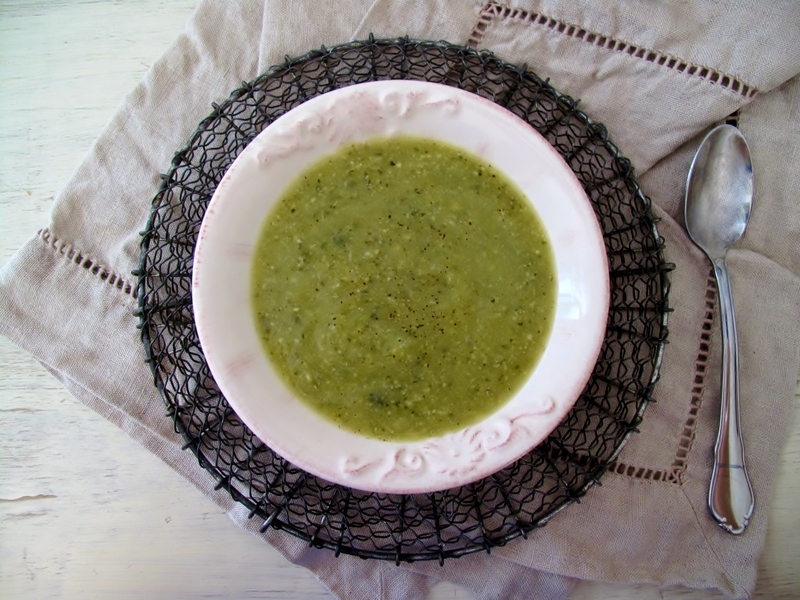 This zucchini soup is a double-remake of an old family favorite. I’ve revamped the original to make a simple gluten-free and vegan version that has a tangy cashew cream stirred into the end to round out the flavors and provide healthy fats. True to me, I added another step by roasting the zucchini rather than simply cooking it on the stovetop until soft. The result adds a nice complexity that is well worth it and makes for a soup which rivals my memories of the original. 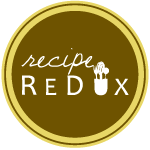 This soup is a great way to use up larger zucchini that have gotten out of hand, and fits right in with the August Recipe Redux theme of getting ‘back to the dinner table’ after the busy summer season. 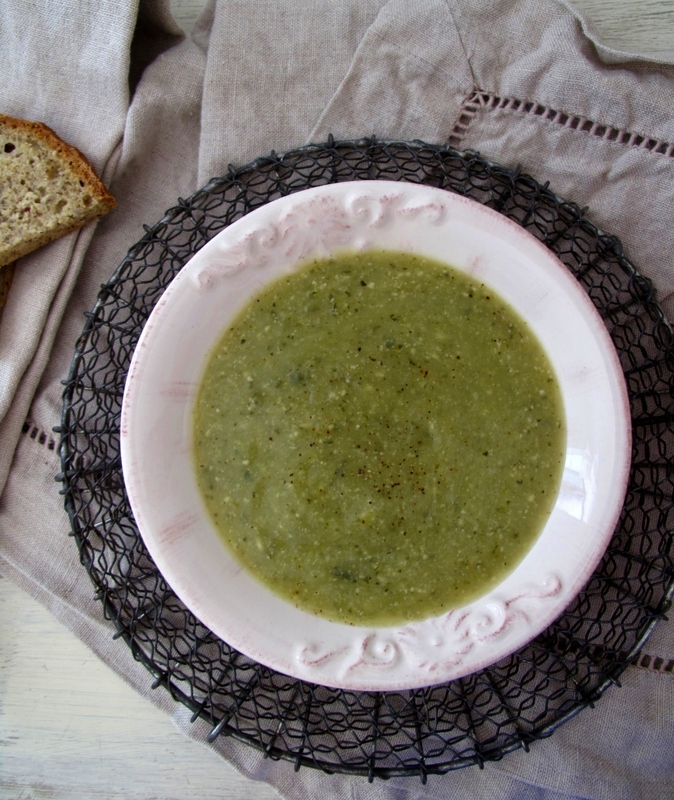 Growing up, we tended to slurp zucchini soup all summer long, but since this summer has been such a cooker, I’ve had little inclination for soup until now. I know we’ve at least a month left of true summer, but the winding down of longer days and the gear-up for school starting in a couple weeks makes it feel as if the season is basically over. We are nearly into my favorite time of year when all the late-summer harvests are colliding with the onslought of fall flavors, but until then, I’m holding onto these slower summer days and enjoying the bounty they bring. In a large baking dish, toss together the chopped zucchini, garlic, and onion. Roast until soft at 400 degrees F, about 30-40 minutes. Remove from oven and cool slightly. In a large pot on the stovetop, bring vegetable broth to a simmer. Slide roasted vegetables into the broth, add salt, tarragon, and pepper, and simmer for about 10-15 minutes, to allow the flavors to meld slightly. Transfer squash mixture to a blender and blend in batches until smooth. Return to the pot and bring back up to a low simmer. Drain the soaked cashews and puree with lemon juice and water in a food processor until completely smooth. Add enough water so the mixture is slightly thinner than paste consistency. 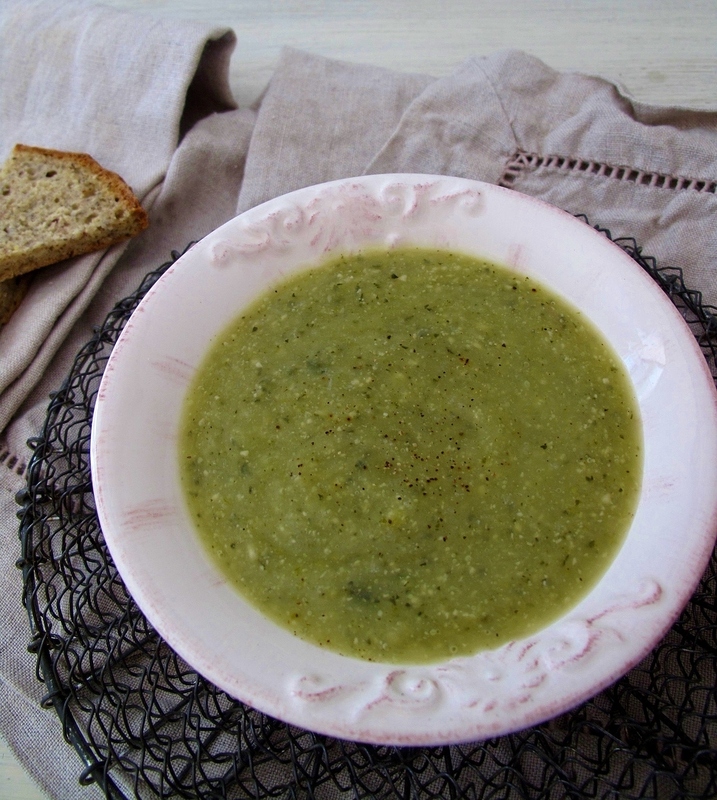 Stir the cashew cream into the zucchini soup, taste, adjust seasonings as necessary, and enjoy! Beneath the surface, a manifesto. These flavors are amazing! Summer soup win! Thanks! Summer soup is not often my favorite, but this one definitely wins! What a beautiful soup! And thanks for suggesting that podcasts, I’m always looking for new ones to listen to! Thanks Aggie! I love hearing what other people listening to also–always the best way to find out about great episodes/podcasts!